Radon is a decay byproduct of uranium. It is a radioactive gas found in rock, soil or water and it is naturally found in the environment. 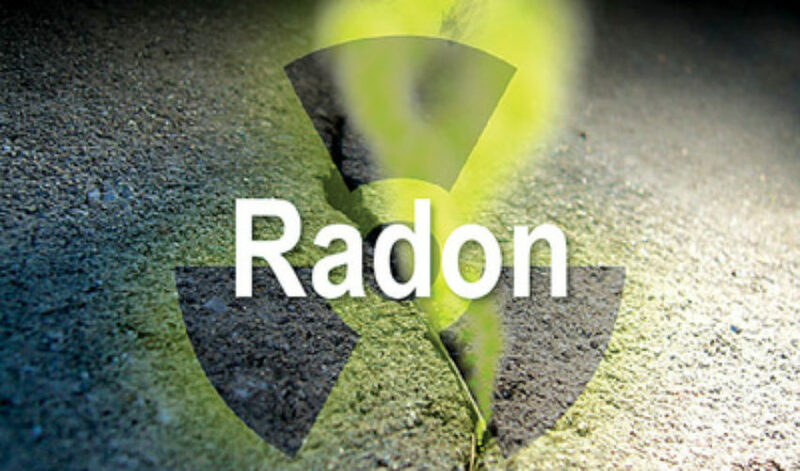 Radon emits ionizing radiation but is not detectable by the human eye; it is also odorless and tasteless. 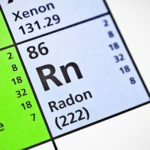 Radon is well-known cancer-causing agent recognized as a major health concern by the American Lung Association, the American Medical Association, U.S. Surgeon General, the EPA and the WHO. It is the second leading cause of lung cancer and responsible for over 21,000 deaths per year and over 500 just in the state of Colorado. Recent studies have also shown radon to be linked to elevated risk of blood cancer in women. Any process used to decrease radon concentrations in the breathing zones of occupied buildings. Mitigation of Radon in the air is accomplished by ventilating the soil under the home or building with a radon mitigation system or by increasing the air exchange rate and fresh air make-up using large HVAC systems. This second method is most common in large buildings like schools and office spaces. This is the most cost effective and common way to mitigate radon in a home. It is a pipe and fan system that actively draws the radon gas from under the foundation, a sealed plastic membrane in a crawl space or a combination of the two. The system then vents the radon gas to the outside air above the roofline of the home where is no longer a threat. This is also known as active soil depressurization and can reduce radon levels within the home by as much as 99%. A properly constructed and designed radon mitigation system will prevent radon gas from entering the home and may decrease soil moisture vapor from invading your home. A fringe advantage of a radon system may be a drier basement space. This deadly gas moves freely through the soil and eventually escapes to the atmosphere or is drawn into buildings. When radon seeps out from the bedrock into the outdoor air, it is diluted to such low concentrations that it poses an insignificant threat to health. 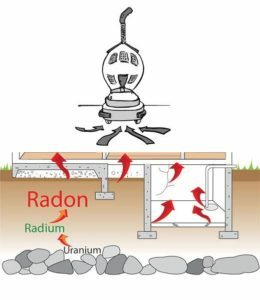 However, if your home is built on soil or bedrock that contains uranium, the negative pressure inside your home will draw the radon gas in like a vacuum. Typically, basements and crawl spaces present highest levels of the gas because these sectors are nearest to the source, but the radon will move up through the home with help from exhaust systems, return air ducts and the thermal stack effect. This can happen in any style home or building, old or new. If you need radon mitigation, contact the best radon mitigation company in Colorado: Absolute Radon Safety. We specialize in residential radon mitigation. We install high-quality radon mitigation systems and back them with the best warranty in the business which includes a lifetime low-level promise on the radon levels and industry leading 10-year full replacement warranty on the radon fan.